My wife Chris and I had dreamed about cruising north to Alaska, so after retirement, we took the plunge. Our United States Power Squadrons classes and our 35-plus years of boating experience helped us pull off this 3,592 nautical mile cruise without destroying our marriage or Aqua Therapy, our Bayliner 3988. We left our moorage in Portland, Oregon, on 29 April, a nice sunny spring day, and returned to our slip on 27 Aug., a few days short of four months. 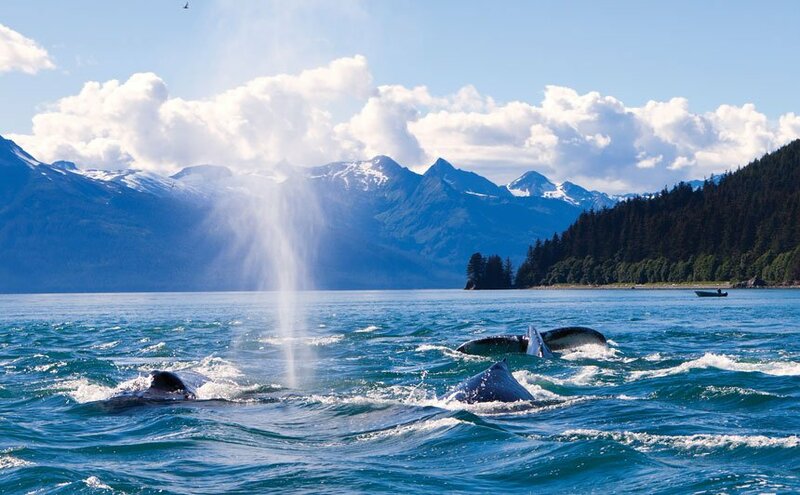 We planned to leave early enough to reach Alaska with enough time to see as much as we could before heading home. 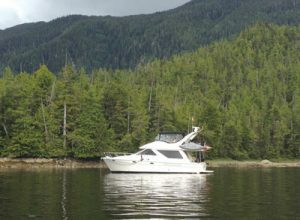 After a quick trip through the San Juan and Gulf islands, we took the northern route through the various rapids in Desolation Sound into the Broughtons, which are full of gorgeous, secluded little anchorages as well as a few small resorts and marinas with fuel, water and a dock if you need it. Chris and I plan to go back one day and spend time exploring. After a windy crossing of the Queen Charlotte Sound, we followed the Inside Passage to Ketchikan, Alaska. The farther west and north we went, the less boat traffic we saw and the more alone we felt. We stopped in Bishop Bay on the magnificent northern British Columbia coast. Since we were early in the season, we had the bay and the natural hot tub all to ourselves. We laid up in Prince Rupert for four days waiting for weather to settle in the Dixon Entrance and arrived in Ketchikan on 4 June, two days before our planned arrival. 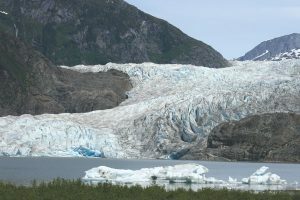 Next we went to Tracy Arm to see our first glacier. The icebergs and floating ice were so thick we needed our visiting daughter on the bow with a boathook to push the ice out of the way. It finally became so thick that we couldn’t go any farther to see it calve. We arrived in Juneau in time for Celebration, a biannual meeting of the three main indigenous peoples of Southeast Alaska and British Columbia. We attended their dance contest as well as the closing celebration. Their handcrafted regalia was beautiful. After flying back to Portland for a week to attend our son’s wedding, we resumed our journey and headed to Glacier Bay, where we spent four magnificent nights in the national park. Almost every arm of the bay had a glacier, though sadly, most of them were receding from the water. Still, it was breathtaking to see the massive flow of ice coming down the mountains. We continued our journey to Sitka on Baranof Island. After sightseeing for a few days, we worked our way around the island on the trip back to Ketchikan. We stopped in Ell Cove, a little L-shaped bay with room for one boat amid huge mountains. We also stopped for a soak at Baranof Warm Springs. At Anan Creek Wildlife Viewing Site in the Tongass National Forest, you could watch brown and black bears side by side fishing for salmon coming up the creek. Next we went to Misty Fjords National Monument for four days of mist and rain. I’m sure it’s beautiful on a clear day. We headed south from there. 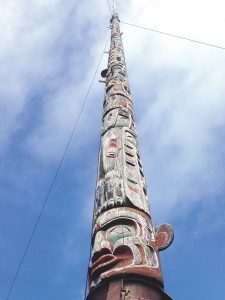 As we made our way home, we hit a few new anchorages and marinas and took a ferry from Port McNeill to Alert Bay to see the world’s largest totem. We decided to go through Race Passage and Seymour Narrows, which is the shortest but most exciting way back since the current can run 15 knots. After a night in Comox, we went through Dodd Narrows and stayed at Thetis Island. From there, we anchored at Montague Bay and took the Hummingbird Bus to the pub for dinner. Tommy the bus driver played music with a full set of cymbals, and he passed out tambourines and maracas so the passengers could join in. We cleared customs using our Nexus passes and headed to a nice berth in Anacortes. We made it back to Portland just in time for Labor Day. Nine months earlier, we began planning and developing preferred routes by reading books and magazines and talking with other cruisers. We also gathered tools, filters, connectors, fasteners, nuts, bolts and washers, knowing we’d be more on our own the farther north we went. Chris and I decided to add a watermaker so we could stay away from marinas longer and have access to good water. 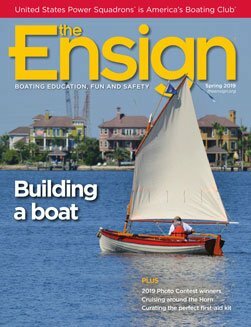 One other major retrofit was replacing our eight-year-old Raymarine electronics with new Garmin electronics, including an AIS transceiver. During the nearly 3,600 nautical mile trip, we went through 3,000 gallons of diesel and anchored out about 40 percent of the time, using the boat almost continuously for four months straight. This was equivalent to four-plus years of usage on the Columbia River, so we had to prepare for normal maintenance. We went through three sets of fuel filters and changed oil and filters twice. We also went through two sets of water­maker filters. The shaft seals had to be tightened once, and the battery water topped off—not too much different than being at home except for the beautiful surroundings. We had two issues that made us thankful for mechanics and helpful marina staff. The first involved our little 8-horsepower two-stroke dinghy motor. The first time we used it in Canada, it sputtered and stopped and started and stopped. We really needed the motor to work so we could anchor out as much as possible. The carburetor was clogged, so we took it to a small isolated marina, where the mechanic blew out the carburetor with his air hose and drained the fuel tank, eliminating debris and water from it. After that, the dinghy motor ran the entire trip. 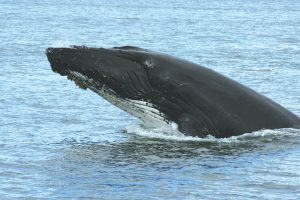 A humpback whale says “Hi” less than 100 feet from the boat. Just outside of Ketchikan on our return trip, the port engine heated up, and steam poured from the exhaust. Not a good sign. All the raw water systems checked out OK. After the engine cooled, the cooling system water level was down a gallon. We definitely had a coolant leak somewhere in the engine area—either the manicooler or the turbo. The oil level was also higher than normal. Another bad sign. Water was getting into the oil pan, so most likely the manicooler had sprung a leak. No one in Prince Rupert had parts for the engine. The parts would take over a week to be shipped from Anacortes, and the mechanic in Prince Rupert had never worked on this type of engine, so we decided to continue the journey on just one engine. Nineteen days later, we pulled into Anacortes and had the engine’s manicooler replaced within three days. Both my on-the-water experience and the USPS classes and seminars I took bolstered my confidence and knowledge, making me able to address the majority of issues that came up during our cruise. Chris and I agree that roaming the vast spaces around British Columbia and Alaska made this the trip of a lifetime. We’re happy we set aside a block of time for this adventure, and encourage others to take a chance and go see what the coastlines have to offer from the water side. Lt/C Mike Kondrat, AP, and his wife, Chris, have been members of Beaverton Sail & Power Squadron/32, where Mike is squadron educational officer, for more than 25 years. They have been fishing and boating in the Northwest for more than 40 years.